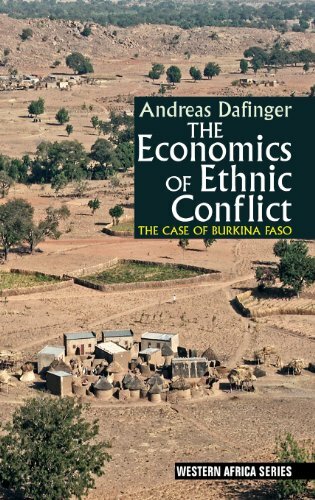 Through richly detailed anthropological case studies of the rural economics and administrative policies in Burkina Faso, and reassessment of current models of conflict, resource management and modern administration, this book explores the current political, economic and social transformation of Western Africa. Ethnic tensions, the case studies suggest, are a strategic part of social and economic local relations - a pattern that is repeated when ethnic stereotyping finds its way into the higher echelons of national administration and of international development cooperation. Conflicts are shown to be ethnicized by local and administrative elites, creating screens impenetrable to those involved in the states' formal administration, and behind which informal local economies thrive. In these 'concealed economies' individuals exploit the ethnic divide by hiding friendly and profitable inter-ethnic relations behind a rhetoric of ethnic tensions and staged conflict. Cultivating ties across ethnic divides is not limited, however, to rural relations but becomes common practice at almost all levels of national and civil administration. Andreas Dafinger is Associate Professor of Social Anthropology at the Central European University, Budapest. He has worked on Burkina Faso for almost twenty years. The Central Arkansas Library System's used bookstore. All books are donated to the library, sorted by volunteers, and sold through our retail store in Little Rock to fund library programs such as Reading is Fundamental, and our summer reading clubs. Proceeds from the sales of our books go to benefit the Friends of the Central Arkansas Library System. In the store we feature many different kinds of books, including rare and out of print, as well as books pertaining to Southern interest topics. All items are offered net, subject to prior sale. Payment by VISA, MASTERCARD & AMERICAN EXPRESS. Appropriate sales tax will be added for all AR State residents. Shipping costs are based on books weighing 2.2 LB, or 1 KG. Additional shipping may be charged to items shipping to Alaska, Hawaii and other international destinations. We will contact you if additional funds for shipping will be needed. Likewise, if your book order is heavy or oversized, we may contact you to let you know extra shipping is required. Address: Little Rock, AR, U.S.A.